Electrical machines are the modern workhorses of the industry. 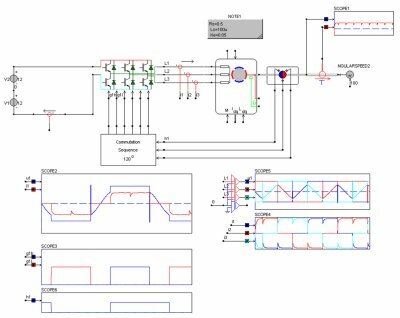 Fast conceptual designs, and easy-to-use models that can be parameterized based on the nameplate, save modeling time. Detailed modeling, where imported models from FEM are used, is key to optimize drive train design. Modern electrical machine concepts like field weakening in interior permanent magnet motors or direct torque control in switched reluctance machines, require an extensive set of specialized models. The electrical machine and drives library in CASPOC includes all basic building blocks for a successful implementation of the entire drive system. The variety of machine models in the library covers most commonly known electrical drive concepts. Specialized machine models are easily set up using these basic building blocks.